Toys R Us was coming. The American toy giant had lingered on the horizon of the Australian retail scene since 1984, when it had first ventured overseas. Now, in 1993, Toys R Us had made its intentions to establish itself in Australia very clear. In a panic, and desperate to beat Toys R Us to the punch, Coles Myer set up their own chain of toy stores that attempted to outdo the American company in every conceivable way; a ‘category killer’. It wasn’t the first time Coles Myer had employed the tactic: in the same year, it had established Officeworks, basing it on the US stationery chain Office Depot. 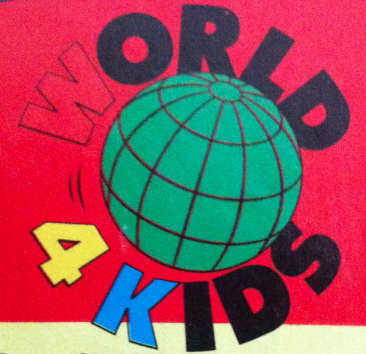 To give you an idea of just how contrived the whole concept was, here’s a 1993 ad preempting the World 4 Kids launch. If you can look past the kid’s stylish fashion, note the cynical overuse of the dinosaur to ride the success of the year’s biggest film. I can still remember the hype surrounding World 4 Kids at the time of its launch. It was relentless. The Bankstown Square location was enormous, taking up an entire floor. To a kid, it was mind-blowing. They had video games available to try everywhere around the shop. They had aisles – not just a few shelves, like Grace Bros, but aisles – of action figures. They even had a ‘kids entry gate’ as an alternative to the regular entrance. Sure, it was just an archway over a little bridge, but that was for YOU! You weren’t meant to walk in the normal way like the grown-ups! This wasn’t just some toy department of a bigger shop. There was no threat of being dragged off to look at clothes or other boring stuff. It was ALL TOYS. The launch of World 4 Kids didn’t stop Toys R Us from opening, and the closest store to the Bankstown World 4 Kids was at Hurstville. As expected, the Toys R Us store blew World 4 Kids away: it was two-storey, they had more of everything, and the name explicitly promised toys, rather than merely alluding to them in the case of World 4 Kids, which sounds like it could easily have been one of those lame play centres with the ball rooms. 1993 was about the start of the last big era for toys. By the end of the 90s, video games had eclipsed toys by a wide margin. Also by the end of the 90s, World 4 Kids was a world about to end. The company had bombed hard in the wake of Toys R Us, haemorrhaging millions of dollars each year it was open. By the end, it was losing $36m a year, and cost Coles Myer more than $200m during its short lifespan. World 4 Kids, supposed to be the successor to K-Mart’s dominance of the toy market prior to 1993, closed in 2002, and the brand name was absorbed back into K-Mart, which adopted it as the name of its toy department. This particular World 4 Kids took over the floorspace of Venture, itself formerly Waltons Department Store (but more on that another time), so by failing miserably, it was only carrying on the strong tradition established by those two brands. Where the one store once took up the entire floor, a chemist, the Reject Shop and Best & Less have taken up residence. Immediately following World 4 Kids’ departure, a JB Hifi was set up in its place, but in a rare move for JB it was closed a few years later. Even Toys R Us is struggling these days, with the Hurstville location having long since been reduced to just one floor. Note the poignant empty trolley. 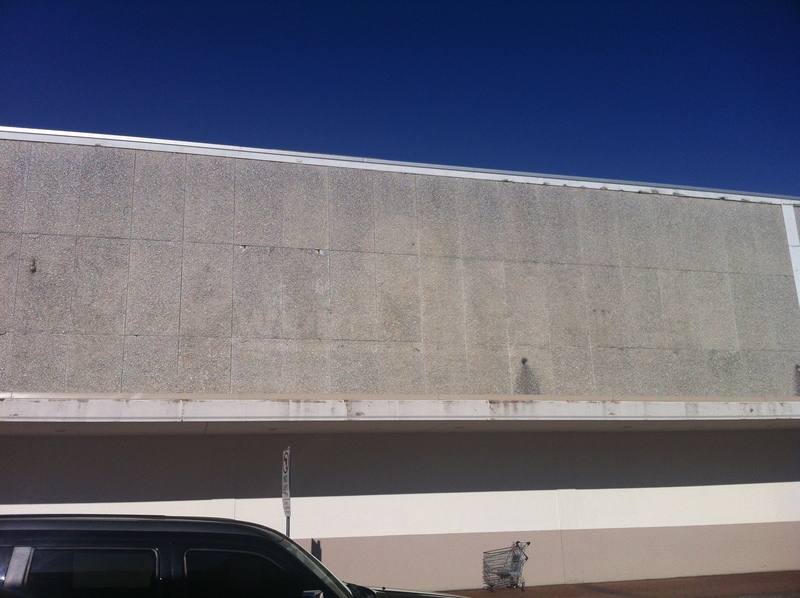 The only evidence that World 4 Kids, the place that meant the world to so many kids in 1993, was ever a part of Bankstown Square is the faint afterimage of its sign on the outside facade of the building, along the Appian Way. Yesterday’s great hope is now just a stain on the wall. It’s a stark reminder that no matter how personally a store may appeal to you, it’s always business. After all, that’s the way of the World.